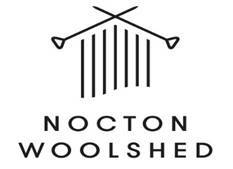 NOCTON WOOLSHED Special or corporate event and wedding venue. Nocton Woolshed has been created from a working shearing shed into a wonderful rustic space with opportunity to turn into your special event or wedding venue. Featuring the original corrugated iron building with rimu floors, an original homestead and some wonderful improvements, it hosts 120 guests in comfort. Both the ceremony lawn and wrap-around deck offer a fabulous rural location and views over the Clevedon river valley to the Hauraki Gulf and Islands. Pohutukawa trees, native bush and birds make it a very beautiful location. Add your own finishing touches to Nocton Woolshed and make your special event one to remember.